A joint action day carried out by seven EU Member States and coordinated by Europol has resulted in the arrest of 53 criminals active on the Darknet. 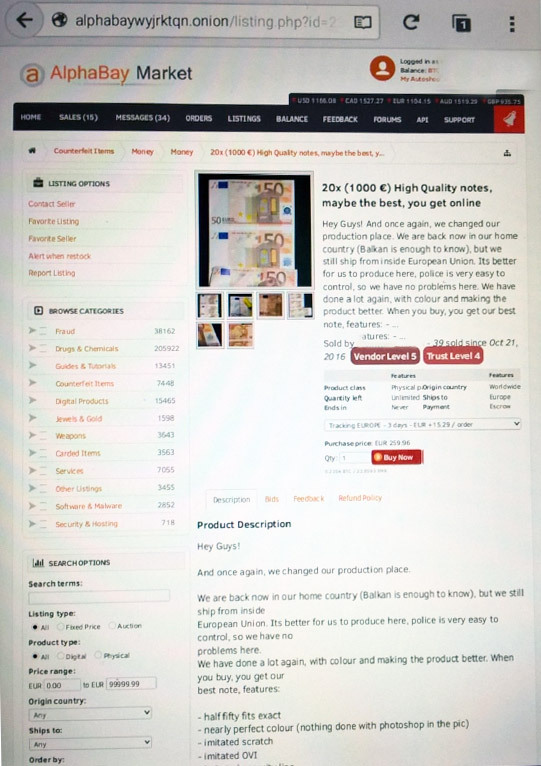 The arrestees were involved in buying and/or selling counterfeit euro banknotes on illegal Darknet marketplaces, such as AlphaBay and Hansa Market. 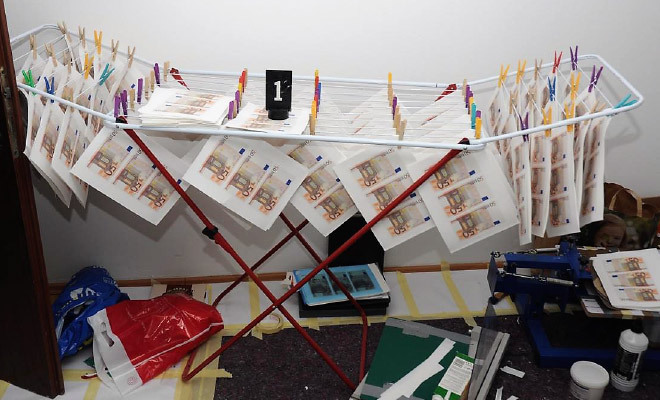 In February 2017, Austrian authorities dismantled an illegal euro banknote print shop in Vienna and arrested one person. The data retrieved from this operation mainly related to illegal euro banknote counterfeiting on the Darknet. Among the documents seized, investigators found details of 33 different European and non-European countries to which the arrested person had sent counterfeit money. Due to the international character of the case, Europol coordinated the information available and shared it with the countries concerned. In addition a joint action day was strategically planned, with the objective of targeting buyers and vendors active on the most popular Darknet marketplaces. The timing for the action (May-June 2017) was chosen to precede international operations by the United States (FBI) and the Netherlands, focusing on taking down two of the most popular Darknet marketplaces – Alpha Bay and Hansa Market. EU Member States involved in the successful joint action day were Austria, the Czech Republic, France, Germany, Greece, Slovakia and Spain. 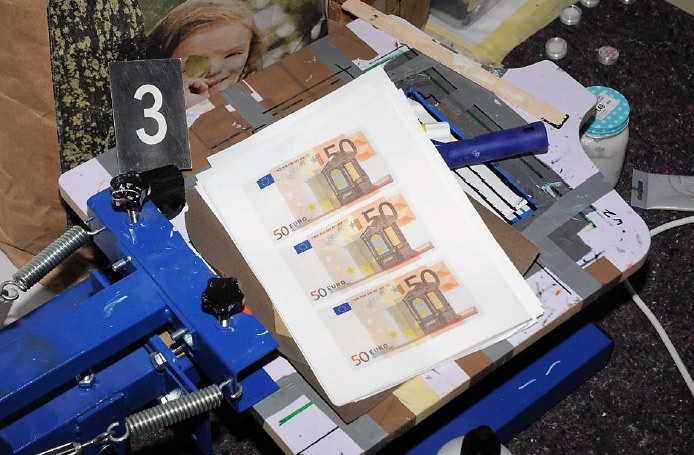 Fifty-three criminals were identified and arrested; 2049 counterfeit euro banknotes were seized during 77 house searches across Europe. The excellent results of the joint action day prove that anonymity on the Darknet no longer exists. By acting together the European law enforcement community, coordinated by Europol, has sent a clear message that we have the means to identify criminality and strike back, even in areas of the Dark Web.